Japan's new must see thing, Nemophira! Do you know where is the hottest spot on May in Japan? At the long holidays at the beginning of May, where Japanese people go with their friends or families? Tokyo? Osaka? Kyoto? It's "Hitachi" located north of Tokyo. 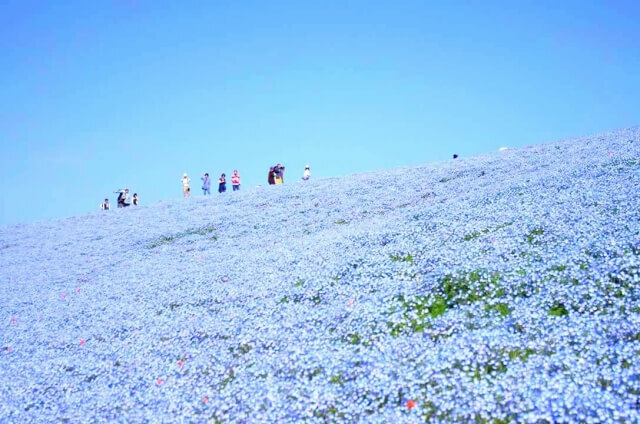 Looking "Nemophira", or Baby Blue Eyes, in Hitachi Seaside Park is their destination. This spot has been getting popular just around this two years for its beautiful pale blue on Instagram. Hitachi Seaside Park is located on the Pacific Ocean side of the Japanese coast, and incorporate a unique natural environment. 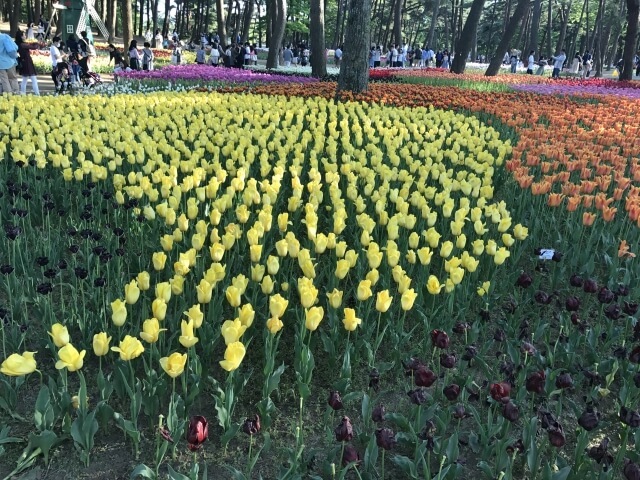 With a total space of 350 hectares, of which 200 hectares are opened to the pacific, this park is a land of a various colorful flowers throughout the four seasons. At the end of April to the beginning of May, people get there to see this beautiful Nemophira. The contrast of blue Nemophira, sky, and ocean is beyond of words. Some people enjoy walking with their dogs, others taking pictures. You would feel as if you were in heaven. You can enjoy not only these flowers but also amusement park, grassland, cycling, forest athletics field, and cafes and restaurants. Besides Nemophira, tulip is its peak on this season during spring, and in Autumn, Kokia is blooming. What I recommend you is various souvenirs here such as Nemophira soap, and Kokia candy. This park is still not well-known to the world, so I recommend you go there before it became famous, although it’s already super famous between Japanese people, and very crowded at the beginning of May. 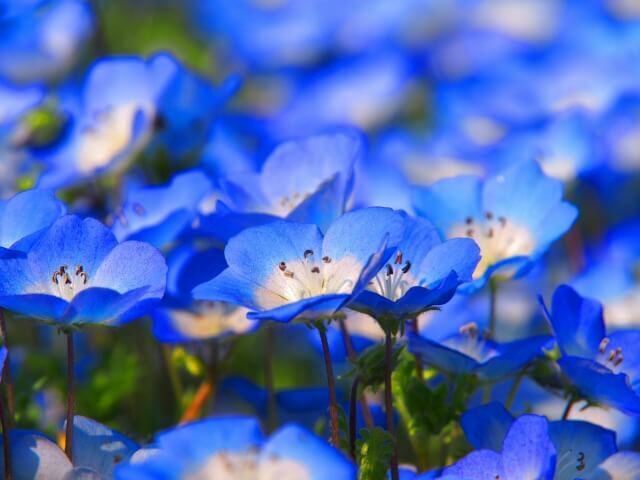 Take beautiful blue pictures at Hitachi Seaside Park!